Over the past century, cultural destruction has wrought catastrophic results across the globe. This war against culture is not over – it’s been steadily increasing. 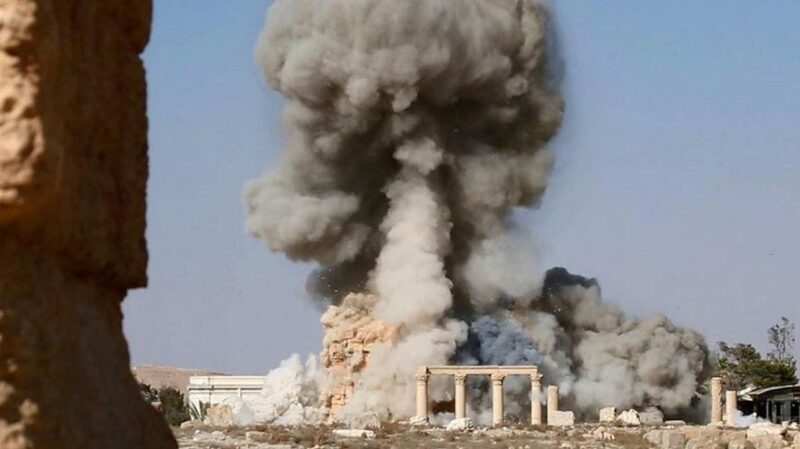 In Syria and Iraq, the ‘cradle of civilization’, millennia of culture are being destroyed. The push to protect, salvage and rebuild has moved in step with the destruction. Legislation and policy have played a role, but heroic individuals have fought back, risking and losing their lives to protect not just other human beings, but our cultural identity – to save the record of who we are. Based on the book of the same name by Robert Bevan, The Destruction of Memory tells the whole story – looking not just at the ongoing actions of Daesh (ISIS) and at other contemporary situations, but revealing the decisions of the past that allowed the issue to remain hidden in the shadows for so many years. Interviewees in the film include the Director-General of UNESCO, the Prosecutor of the International Criminal Court, as well as diverse and distinguished international experts, whose voices combine to address this urgent issue. Join us for a film screening followed by a panel discussion and Q&A, chaired by Jenny Gregory, Emeritus Professor of History, UWA, with Andrea Witcomb, Professor of Cultural Heritage and Museum Studies, Deakin University; Ben Smith, Professor of World Rock Art, UWA; Dr John Taylor, UWA, national and international heritage award-winning architect; and Rebecca Repper, UWA, affiliate researcher with The Endangered Archaeology in the Middle East and North Africa Project, Oxford University.